When I got so many messages and emails about my recent story on hair loss, I knew it was an important topic to cover. That the messages were mostly private made me feel stronger about continuing to publicly discuss something I know is uncomfortable for women. In response to the story, I was asked if I would like to meet renown hair loss expert Lucinda Ellery. After researching her work and her life’s mission, I felt honored to have the opportunity and made a date to meet her in a month’s time when she would be in NYC. 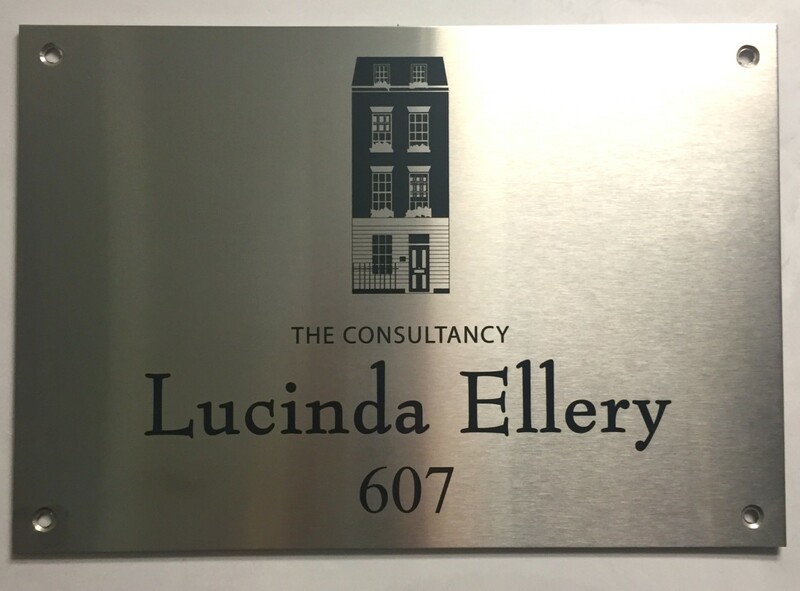 When I met Lucinda, I was truly moved by her and her absolutely incredible success stories and above all, her gentle, optimistic, holistic approach to her clients. 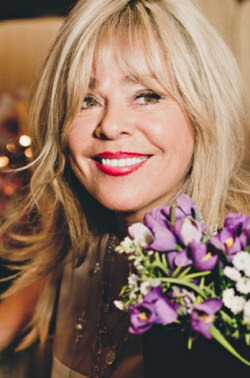 Lucinda’s energy is special, a mix of healing and uplifting and comforting. She is passionate and charismatic and you feel you’ve known her a lifetime in a few minutes time. Or at least, I did. I felt completely at ease with her and by the end of the hour, I gave her a warm hug goodbye and I actually felt her silently wishing me peace with my hair as it hopefully returns to its original state. Don’t you want to hug her too?! 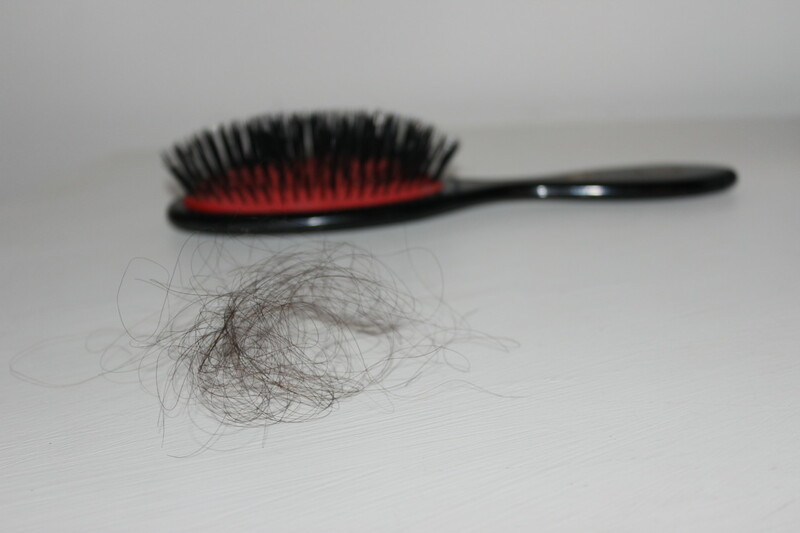 Lucinda works primarily with patients who have severe hair loss. I actually felt a little guilty ever having felt bad about my experience when she took me through gallery after gallery of women who suffered hair loss from chemotherapy, trichotillomania (an impulse disorder in which sufferers are compelled to pull out their hair), disfiguring burns, surgeries, alopecia, autoimmune diseases and more. Lucinda does not judge though and understands why unusual and inexplicable hair loss in a young woman would be unsettling and cause for concern. She gets that hair is important (and not just in terms of vanity). She knows why I would want to get to the root cause (no pun intended) and try to stop the loss and start the regrowth. Lucinda empathizes because she experienced hair loss herself and the system she created to address it is one she personally uses. Her approach usually starts with a custom, luxury, fully-integrated extensions or intralace system that allows for the hair to regrow beneath. The system allows you to sleep, shower, swim, style your hair and it is only removed every two years for maintenance. As Lucinda takes you through each woman’s journey and shows you how thrilled they are posing for the “after” photos (in some cases with these undetectable wigs and extensions and in others, fully regrown, gorgeous, voluminous hair), you can sense her connection and commitment. Some clients have been with her for decades and their stories are incredible. 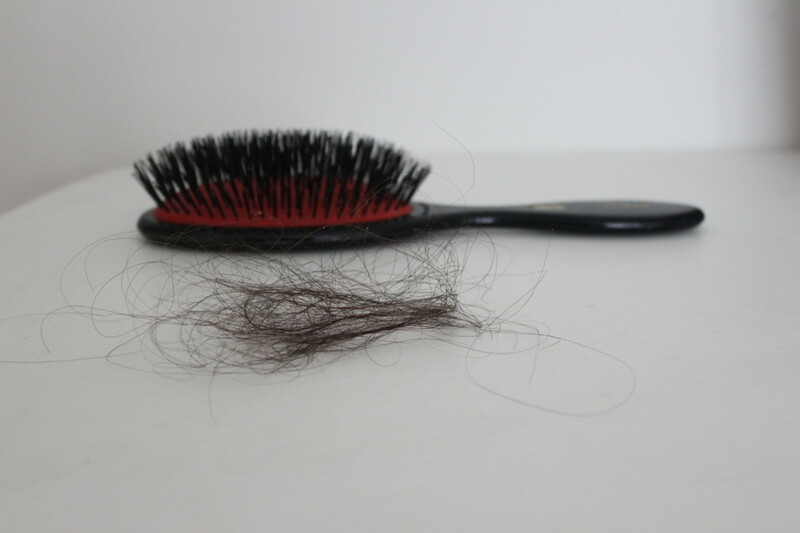 Lucinda offers individualized hair restoration services to women in London, Los Angeles and New York. Those are copy points lifted from her homepage. But really she changes women’s lives – giving them back confidence and happiness and hope and self-love. I shared my story with her and she then asked if she could take my wet, twisted-up hair down and brush it. And I agreed. She told me to close my eyes and asked me how the sensation felt. “Tingly,” I replied. And she asked where. Was it in just my scalp? No, I felt it in my scalp but also through my body, even in my fingertips and toes. Was it some special brush? No, she replied, it’s “cheap as chips” and she ended up later giving it to me. 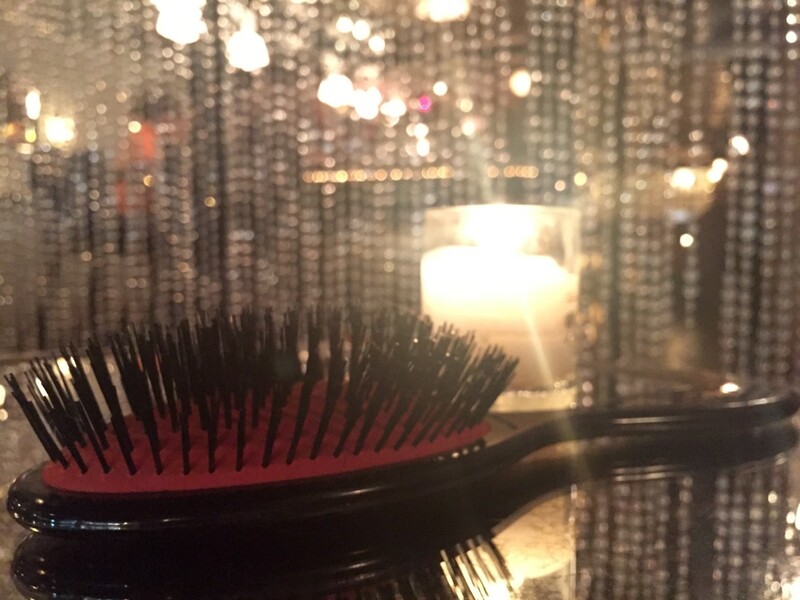 But the sensation of the bristles running over my scalp was an act of love and self-care and, equally important Lucinda explained, served to oxygenate my scalp. 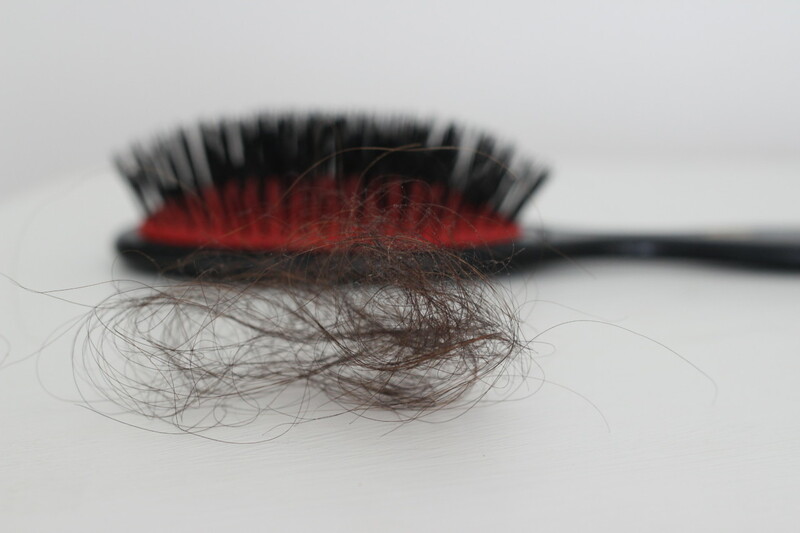 Most people who feel they are losing hair become afraid to brush it. (YEP.) Or they don’t brush it for other reasons (to extend a great blowout, to extend time between expensive color appointments, and so on). But Lucinda advised brushing with this type of brush about 100 strokes a day (yes, that old wives’ tale has some truth to it after all) to charge the scalp with much-needed oxygen. She also guaranteed if I brushed it this way every day for a week, the shedding would stop. If that wasn’t a claim I planned to test, I do not know what is. Lucinda shared that she believes I was experiencing Telogen Effluvium. Which is what a dermatologist had previously told me without using that term. My hair was stuck in a stage and I was shedding too easily and considerably more than normal. 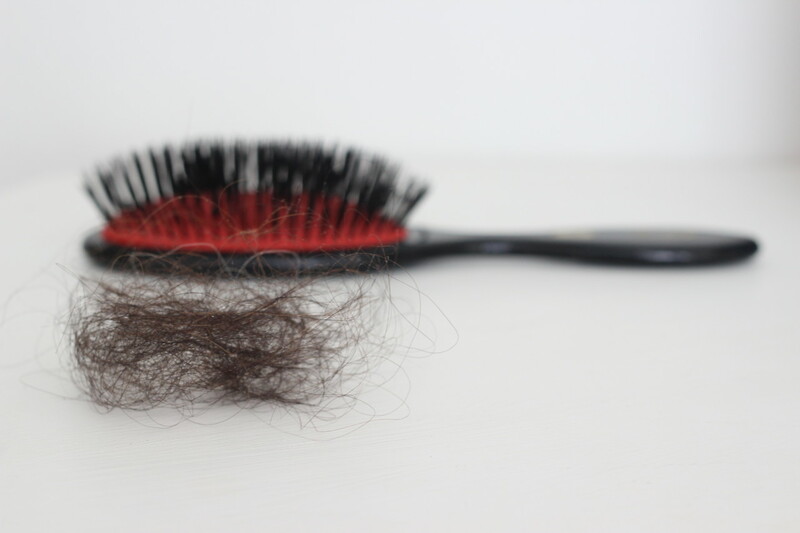 She pulled out of the brush all the strands I had lost when she brushed my hair. Although I wasn’t a true candidate for the extensions or wigs, it was a lot even by her standards. She assured me again that with consistent brushing I would not shed that much. I would see the difference and it would make me feel less anxious and more confident it would stop and optimistic the hair would return. And apparently, my feelings on my hair impact my hair. 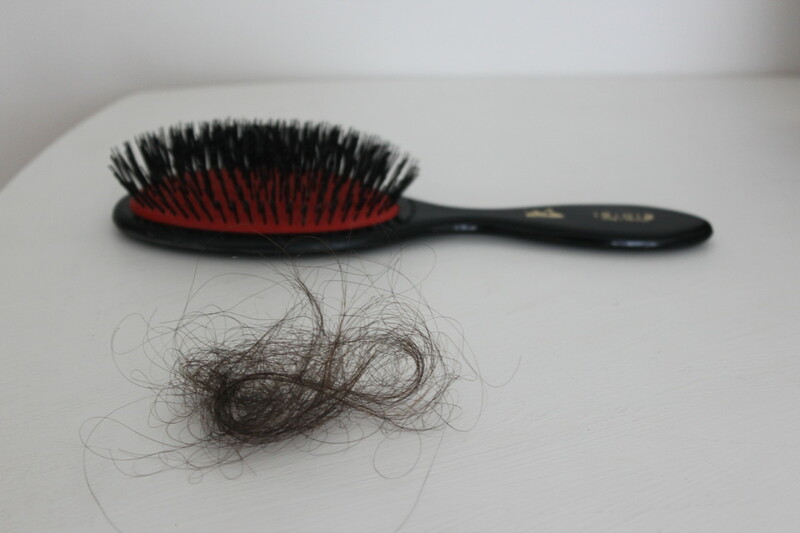 Of course stress is a cause of hair loss, so stress reduction is a logical goal, but even more so Lucinda believes our thoughts have power and what we imagine for our hair matters. How we envision ourselves matters. She told me to wear my hair big, amp up the volume, blow dry it upside down, make it full, love it. Lucinda also told me I was physically sensitive and I found that really interesting. I am definitely sensitive towards others but sensitive isn’t a word I would ever use to describe myself. But I guess when I experience things that are very upsetting and out of my control, I resist or worry at first and then I try to make a plan and keep it moving taking whatever action steps I can. I don’t stop and allow the feelings to just be and fully experience them and let them pass on their time. I don’t desire sitting with my feelings, especially when they aren’t happy positive ones. I’d rather be productive. After all, I got things to do. So instead, in extreme situations, my stress finds a way to surface physically. In a skin reaction, for example, or even hair loss. Lucinda recommended The Secret and meditation and visualization. I asked her thoughts on energy work and she thought that too would be a good idea. One thing that really stuck with me… Lucinda spoke about your body being your house, and wherever you take it, it is your home. To make your home a good place to live in. To take care of yourself in every way. To give proper attention to your thoughts and feelings and physical being. I thought about that as I left and as I started walking down Park Ave, it made me tear up. Had I made a nice enough home for me. The place where no matter where I go, I lived. I don’t know if I ever considered my home as much as it deserved to be considered. DAY 1: Not so terrible but Lucinda had brushed it the day before so was this really Day 2? DAY 3: I had gotten a blowout and didn’t brush for a couple of day so Day “3” was more like Day 1 again (I know, I didn’t follow the rules) but still, it was not as bad as what I had seen prior to the experiment. DAY 4: Ok, now I was starting to be like WOW. DAY 5: At this point, I was in shock. AND this has been the amount I continue to get when I brush every day. 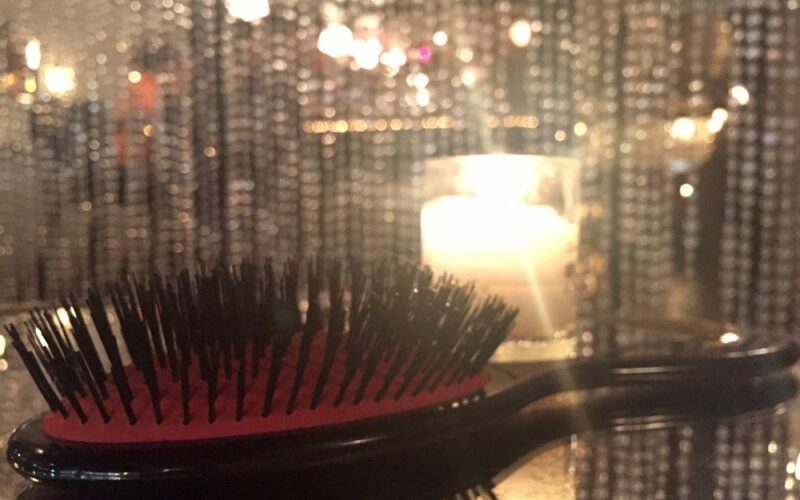 Of course, when I get or give myself a great blowout, I don’t brush it until I wash it again. Not gonna pretend. Good hair days win. But the shedding really did go down exactly as she described. What I did do was download The Secret app and now get daily reminders. A small step, but a start. Beyond that, my greatest takeaway from my session with Lucinda Ellery: her words that inspired me to be more aware of myself and the ‘home’ I create for myself — and, hellooooo, her advice to style my hair basically like Beyoncé on tour. You don’t gotta tell me twice.